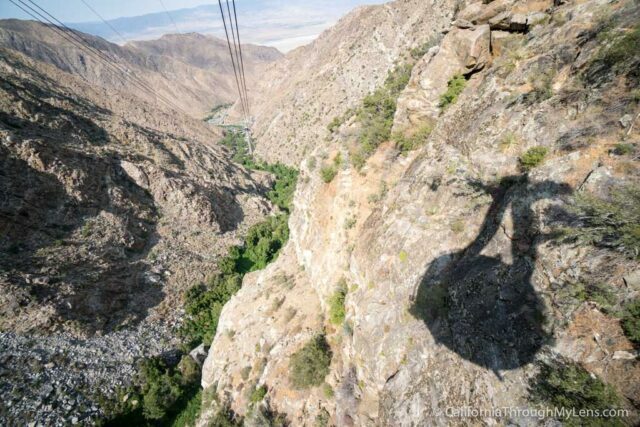 The Palm Springs desert can be a hot place to be in the summer, so being able to take a 15-minute tram ride up over 6,000 feet is a welcome escape. 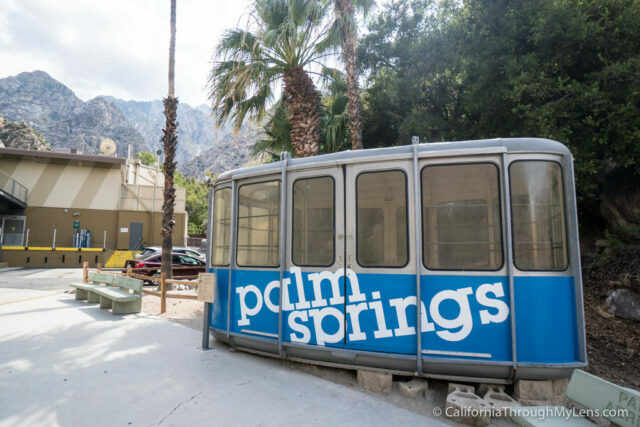 The Palm Springs Ariel Tram, located 10 minutes outside of town, is just that. 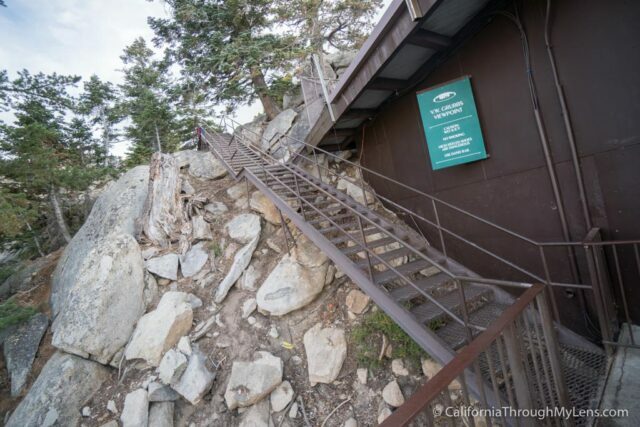 This engineering marvel has been here for over 50 years, ushering people up into the San Jacinto Wilderness, where the weather can easily be 25 degrees cooler. 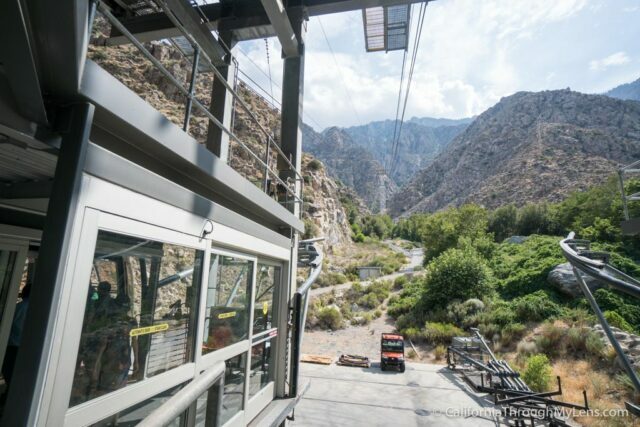 The tram also provides access to some great hiking trails, two restaurants, and multiple viewpoints. Here is all the information so you can check it out. Hours: Generally 10 AM – 8 PM but double check before you go. 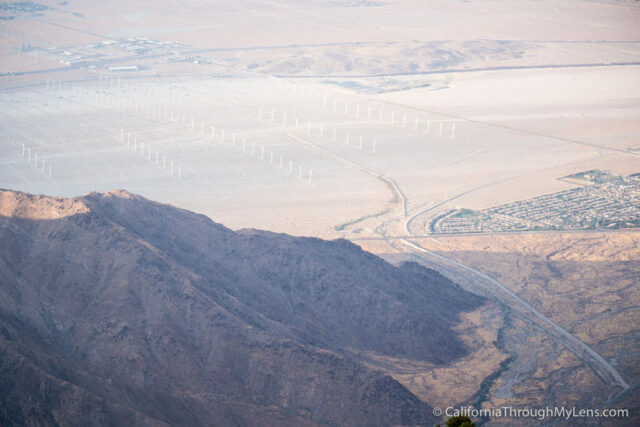 From the 10 Freeway out of Los Angeles, you will head towards Palm Springs and get on the 111 Freeway. From here you will turn left on Tram Way and then proceed up to the base of the mountain. They used to not charge for parking, but three years ago they changed it to a $5 fee. There are many lots, and the further away ones have a shuttle you can use if it’s busy (like on the weekend) and you need to park there. After parking, you will head into the main building to get your tickets and to get in line to board the tram. Don’t forget to check out the old tram that is still sitting outside from before they remodeled it. 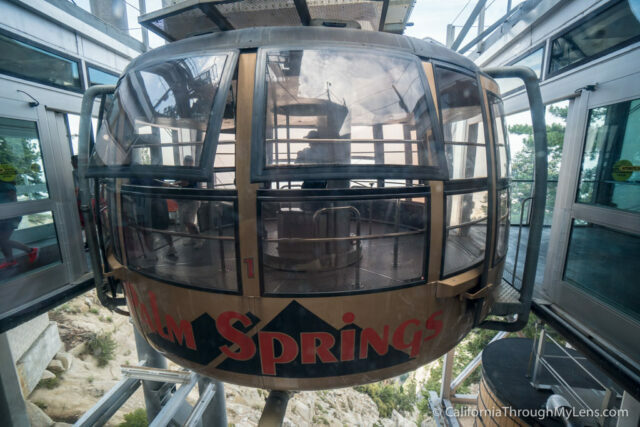 The tram itself takes 11 minutes to make its way to the top. Don’t worry about where you are standing; the floor makes two full rotations on the way up so as long as you are by a window, you will have a good spot. 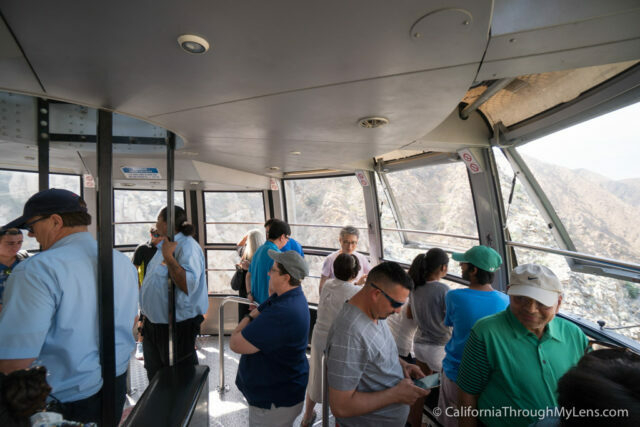 The tram can get pretty packed on the weekends so be prepared to wait and to squish in but the ride is short, so it’s not a big deal. When the tram goes over one of the three main towers, it will sway a little bit which can be creepy for some people, but I thought it was fun. 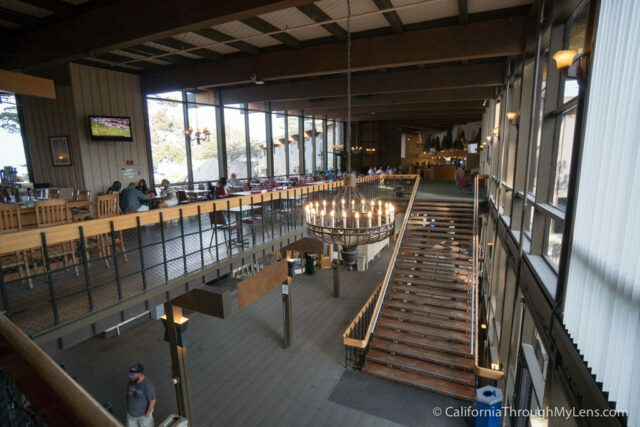 When you get to the top, you will be in a four story building with a small visitor center, multiple small theaters, and two restaurants. 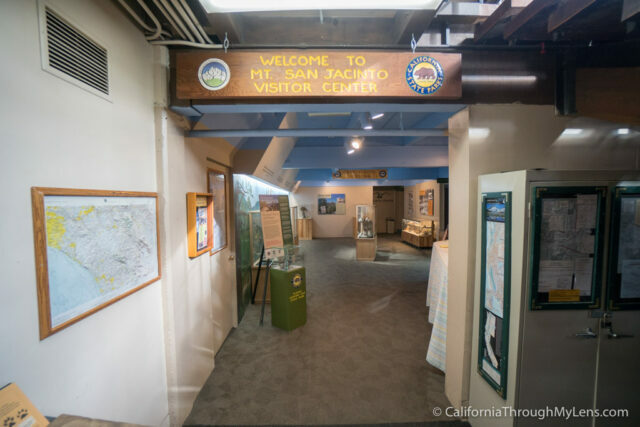 We headed down to the visitors center first and saw all the taxidermy animals they had from the area as well as the short movie on how they built the tram. From there we went out on a few hikes. 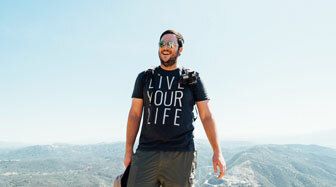 The easiest are the Desert View Trail and the Nature Trail. 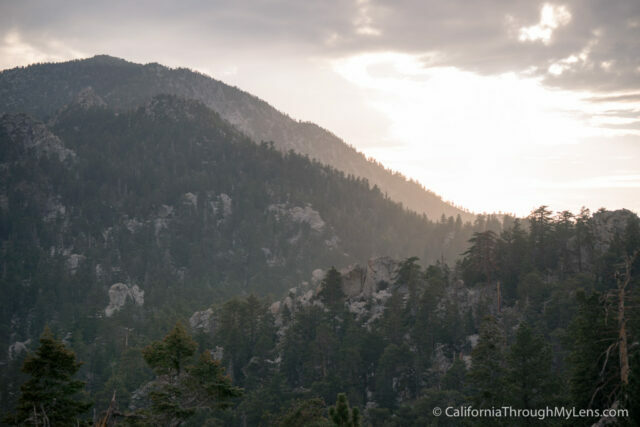 If you have a full day and have been training for it, you can climb to the top of San Jacinto as well. 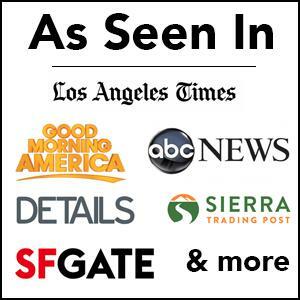 Read about all of them below. 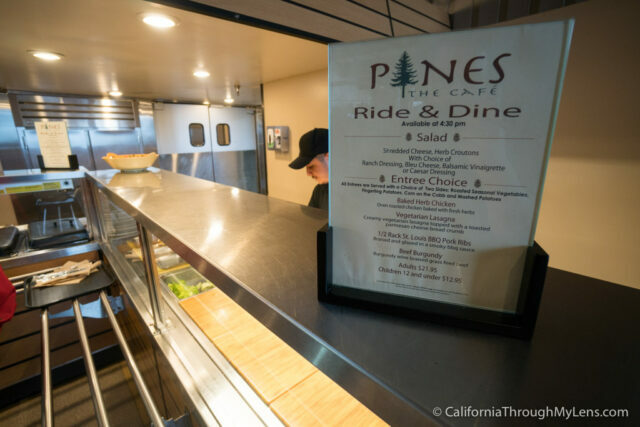 After hiking, we grabbed a meal at the cafeteria style restaurant called The Pines. We had done the “ride and dine” ticket, so it was included. If not the price was pretty crazy at like $21 a person, but with the ride and dine it was only $12 extra. I would say that the food was decent. Nothing I was super excited about but slightly better than average. It’s worth it just to be able to sit on the deck and eat looking over the view though. 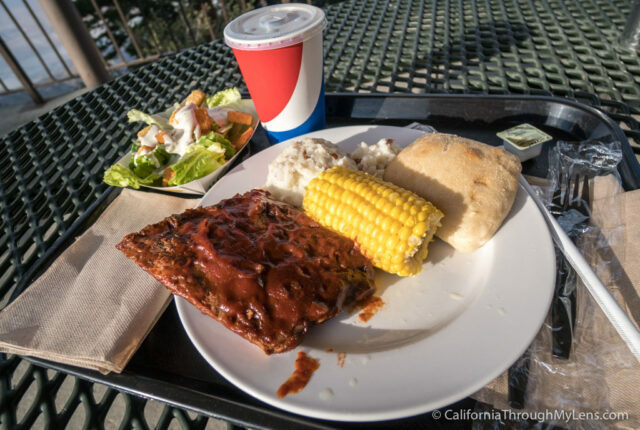 After dinner, walk around the upper deck and go up to Grubbs View. 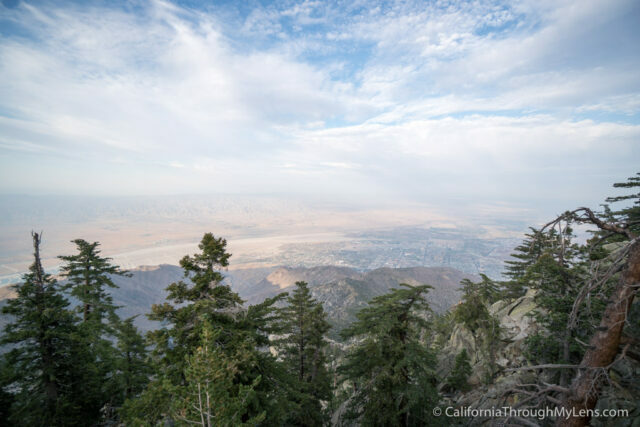 This view point is accessed by walking up 20-30 stairs and it provides great vistas of both the desert below you and the mountains behind you. It’s a great area to watch the sunset from as well; the sun goes down over Mt. San Jacinto. 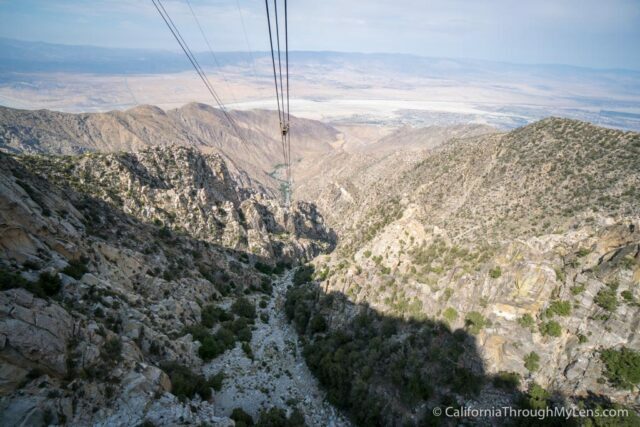 After taking it all in, grab a tram back down the mountain. Usually, they come every 15 minutes but it starts being ever 30 minutes as it gets later. 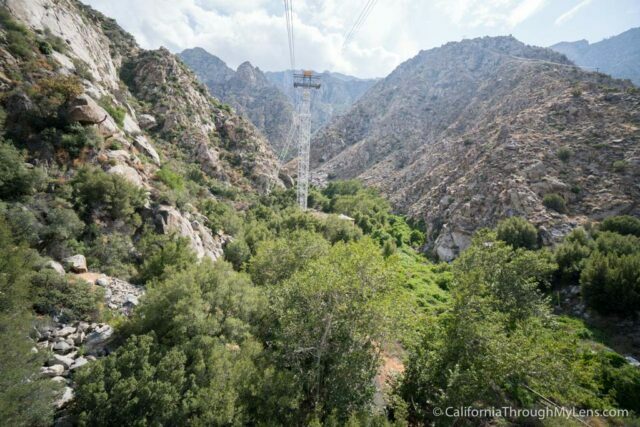 Even though the tram is a little pricey for a whole family, it really is a great adventure to have in Southern California, especially if you want to get out of the desert heat. Let me know what you think and what your favorite hikes are in the comments.